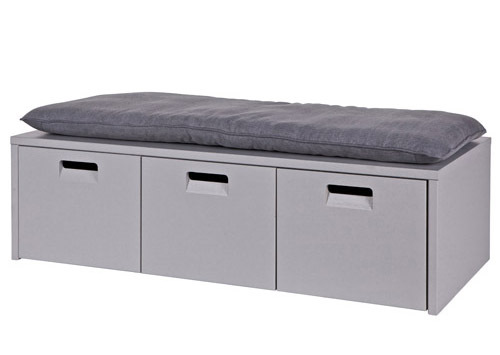 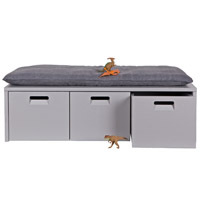 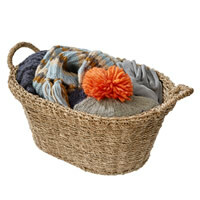 Sturdy solid wooden 3-drawer storage bench with a matching grey canvas cushion. 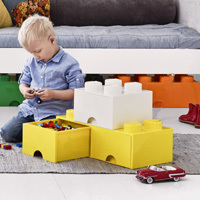 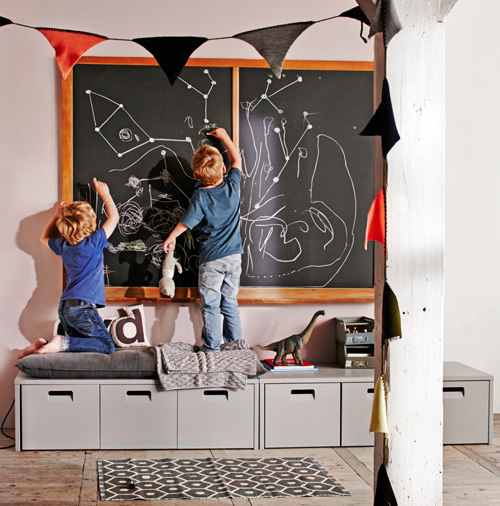 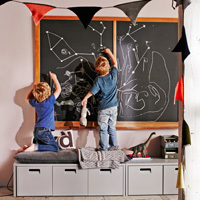 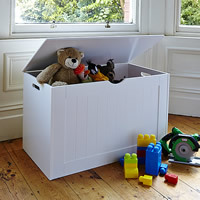 This well-made unit has been made by our designer friends in Holland and is ideal for toy storage in a bedroom or playroom or how about clearing the clutter of that mountain of shoes left on the floor. 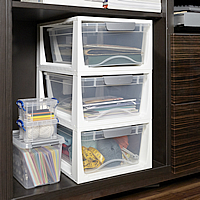 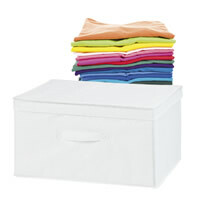 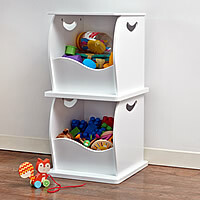 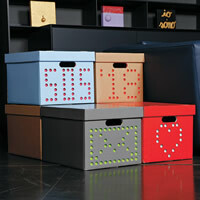 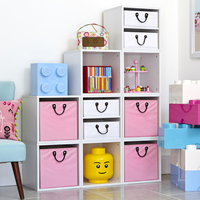 As shown below, why not pop two of these well-made units side-by-side for the ultimate toy or shoe storage solution.